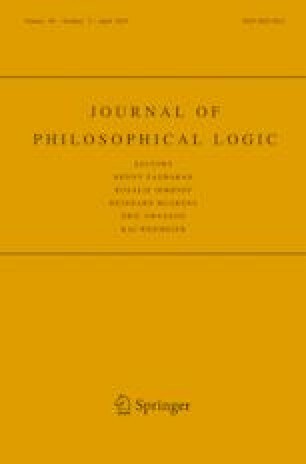 The logic DAI of demodalised analytic implication has been introduced by J.M. Dunn (and independently investigated by R.D. Epstein) as a variation on a time-honoured logical system by C.I. Lewis’ student W.T. Parry. The main tenet underlying this logic is that no implication can be valid unless its consequent is “analytically contained” in its antecedent. DAI has been investigated both proof-theoretically and model-theoretically, but no study so far has focussed on DAI from the viewpoint of abstract algebraic logic. We provide several different algebraic semantics for DAI, showing their equivalence with the known semantics by Dunn and Epstein. We also show that DAI is algebraisable and we identify its equivalent quasivariety semantics. This class turns out to be a linguistic and axiomatic expansion of involutive bisemilattices, a subquasivariety of which forms the algebraic counterpart of Paraconsistent Weak Kleene logic (PWK). This fact sheds further light on the relationship between containment logics and logics of nonsense. Preliminary versions of this paper were presented at the workshops Nonclassical modalities (Mexico City, September 2018) and Logic in Bochum IV (Bochum, October 2018). Thanks are due to the audiences of these talks for their insightful suggestions. A. Ledda and F. Paoli gratefully acknowledge the support of the Horizon 2020 program of the European Commission: SYSMICS project, number: 689176, MSCA-RISE-2015. All authors express their gratitude for the support of Fondazione di Sardegna within the project Science and its Logics: The Representation’s Dilemma, Cagliari, CUP: F72 F16 003 220 002, and the Regione Autonoma della Sardegna within the projects: Le proprietà d’ordine in matematica e fisica, CUP: F72 F16 002 920 002, Per un’estensione semantica della Logica Computazionale Quantistica - Impatto teorico e ricadute implementative, RAS: SR40341. Burris S., & Sankappanavar H.P. (2012). A course in universal algebra, the Millennium Edition. Available at https://www.math.uwaterloo.ca/~snburris/htdocs/ualg.html.